The Inca Trail begins from the old capital of Cuzco and passes through the lush green Sacred Valley, the ruins of Ollantaytambo and on to the forgotten city of Machu Picchu, at 2,500 metres. En routes you’ll witness spectacular scenery, lush cloudforest, sub-tropical jungle and fascinating Inca ruins. The trek ascends over Dead Woman’s Pass which, at 4,200 metres, is the highest point on the Inca Trail, and poses the greatest risk of altitude sickness particularly if you did not spend enough time in Cusco prior to the trek getting acclimatised. However the trail quickly descends from Dead Woman’s Pass to reach 3,600 metres the same afternoon. The Salkantay route is a 7 day itinerary that passes beneath the snow-capped mountain of Salkantay and features awesome mountain scenery with numerous noted Inca ruins. The route begins in the valley near Mollabamba and joins the Classic Inca trail route at Wayllabamba on the fourth day. The route involves some high passes which can be very cold in June and July. 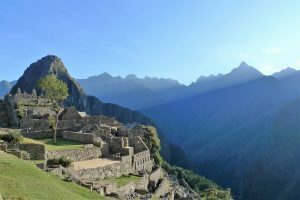 You will arrive at the citadel of Machu Picchu in time for sunrise on the final day of the trek. 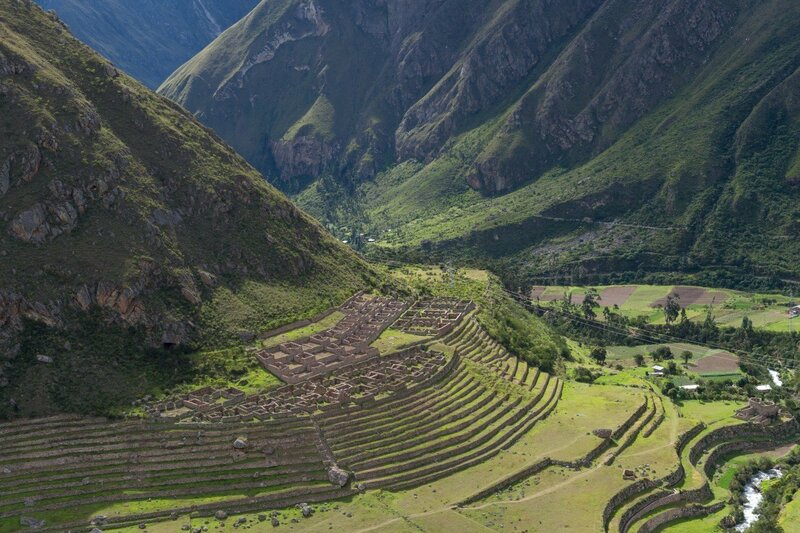 The Classic Inca Trail is a 4 day, 27 mile trek that crosses three stunning high-altitude passes, with many fascinating archaeological sites along the way. The trek is rated as moderate with some challenging stretches along the way so you need to be reasonably fit, properly acclimatised, and kitted out with suitably clothing and sturdy hiking boots. To walk the Inca Trail you must have a local guide and a trekking permit. The government limits numbers on the trail to 500 per day, of which 300 are porters and guides, so it is essential to book well in advance via a British-based tour operator who can confirm a permit. The Classic 4-day Inca Trail can be hiked year round but the driest period is between April and October. High season is between June and August when the trail will be fully booked. The trail is closed each February for cleaning and maintenance, coinciding with the wettest period between January and March. Big Cat Travel Insurance’s Activity Pack covers you up to 4,500 metres, which includes the very highest part of the Inca Trail to Machu Picchu at 4,430 metres. If you wish to go even higher, our Extreme Activity Pack covers any altitude above 4,500 metres and is suited to the most challenging of mountain treks such as Mt Kilimanjaro, Aconcagua, and Mont Blanc. Please note for trekking in Nepal the Nepal Trekking Pack add-on will need to be included. A 7,000m altitude limit is applied to this.